Traveling to an unknown place can give you a feeling of thrill and excitement. You can think of a lot of fun things you can do such as spontaneous trips to places that are rarely traveled by tourists like you. But when things would get out of hand to the point that you are losing all your limited time in a foreign place, this is when you would find it necessary to use an itinerary. Itineraries make every trip a memorable one and it also gives you a clear mind instead of a worrying one when traveling. Sure, it might seem that having an itinerary makes you feel as if you are being restricted and deprived of spontaneity but in reality, itineraries help you ensure that you are going to travel efficiently in a place that you may only get to visit once in your life. An itinerary will only become effective if it contains the following essential elements. 1. 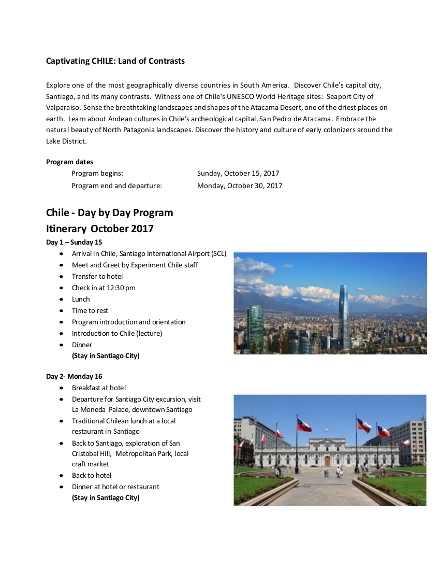 Program: This element is considered as the most important element of your itinerary since this covers all of the activities that you will be having during your trip. Before you plot your entire itinerary, make sure that you have already done your research about the places you are going to include in it. 2. Timetable: With all the things you want to do in a foreign land, you will also realize that you have limited time to do all those. This is why this element plays a key role in making your trip an efficient one since it helps you in making it possible to get to a lot of destinations with whatever time you have. Additionally, with this element, you will be able to give time allowances for yourself in case you will be facing unforeseen circumstances and especially emergencies that you definitely have no control. 3. Duration: You have to include the exact duration that you need and should take every destination. If you miss including this element on your itinerary, you will surely be left behind your target travel schedule. Stating the duration for every destination will enable you to give equal time for every stop or activity that you have on the travel schedule. However, do also take into account uncontrollable factors such as the traffic, long waiting lines, and the nature of the activities you are going to do in every stop. 4. Destination: Whatever your destinations are, make sure that you are going to indicate it clearly on your itinerary so that you will be able to correctly and exactly indicate the destination that you will go to in your trip so that there will be no complications, confusions, and other mishaps to happen in your trip. 5. The 4 A’s: The 4 A’s of traveling stands for attraction, accessibility, accommodation, and amenities. First-time travelers must ensure that they already know about it or else they will surely be having a problematic trip. Regardless whether it is a personal or business trip, you must ensure that you will figure out your 4 A’s so you will enjoy during the entire time of your trip. 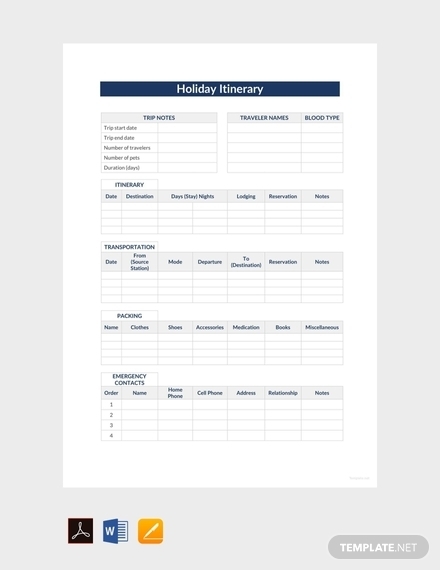 Here are the steps to create an itinerary that will still allow you to have a fun time without allowing things to get out of hand during one of your trips. 1. Research: Sure, everyone wants a one-of-a-kind adventure and an unforgettable experience during their trips and the only way to do it is simply to get spontaneous. However, spontaneity can have drawbacks and disastrous outcomes. Before you travel, you have to make sure that you will do your homework, which is to diligently research about the city or country you are traveling to. The internet is your friend when it comes to this step. There are a lot of bloggers and websites that do reviews about the places they have traveled to including the budget they had so you will already have an idea on how to budget yours. 2. 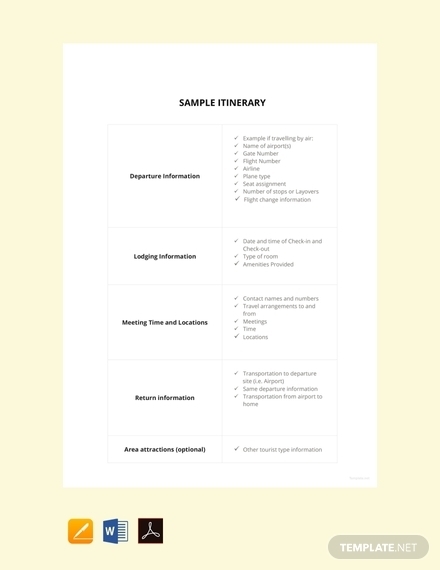 Determine and section items: Now that you have done your research, you may already determine the items you want your itinerary to contain. The items depend on how you want things to be during your trip and you may even pattern it according to the 4 A’s which consists of attraction, accessibility, accommodation, and amenities. Right after determining what your specific items are, make sure you divide this into comprehensive sections so you will be able to maximize your time during the trip. 3. 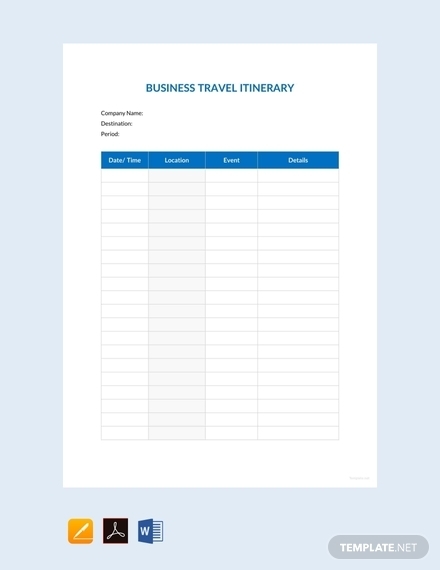 Create a schedule: Most people think that itineraries are mere schedules for trips when in fact, schedules are a part of an itinerary; meaning, itineraries contain schedules and are not a form or type of a schedule itself. 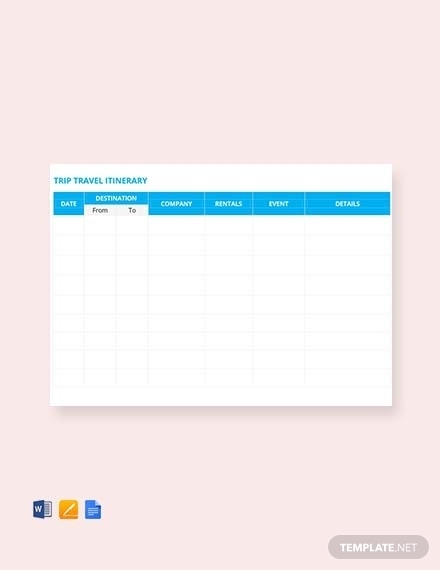 Hence, one of the steps you need to take when creating itineraries is to create a schedule for the entire duration of your trip that would already cover the exact date and time of every activity you have planned on doing. 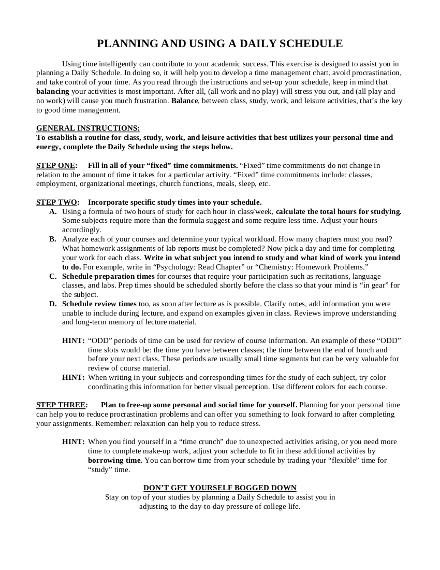 In creating your schedule, make sure you have already done your research before plotting certain activities. The factors you should consider include the business hours of the place and the peak season. 4. Review and finalize your plans: Before heading to wherever you are going, make sure that you have reviewed everything you have included on your itinerary. If there are last-minute but necessary changes in one of your plans, make sure you have already settled it right before the actual day of your trip so there you will not be encountering unnecessary complications during your trip. 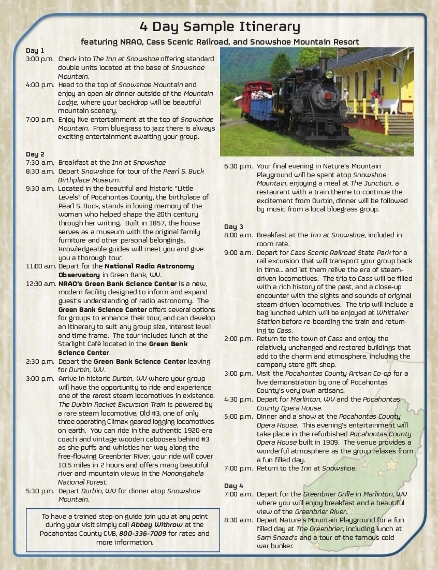 When you have ensured that your itinerary is good to go, finalize everything before printing. 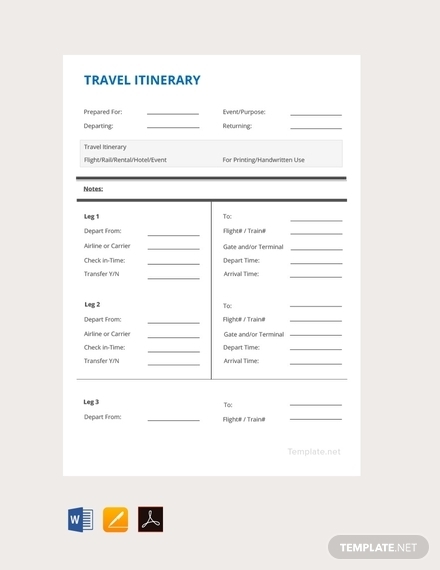 Consider having extra copies and digital copies of your itinerary for you to easily access it when traveling. 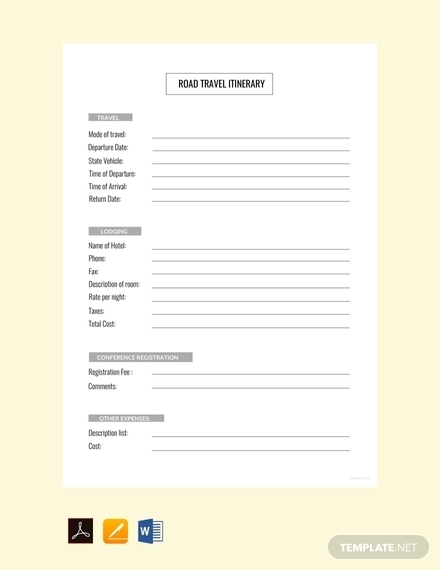 Now that you know how to create an itinerary, consider knowing these simple but helpful tips that can guide you in developing your itinerary. 1. An organized itinerary is an organized trip: Making your itinerary a mess is also making your trip an equal disaster. You will most likely compromise organizing your itinerary since it may seem unimportant at first but just wait until you get a lot of problems and misunderstandings during your trip and realize that there was really a need for you to organize your itinerary. 2. Keep it short and simple: Even if you are the one who will make use of the itinerary that you are creating, you will still have no time and patience to read long texts during your trip. 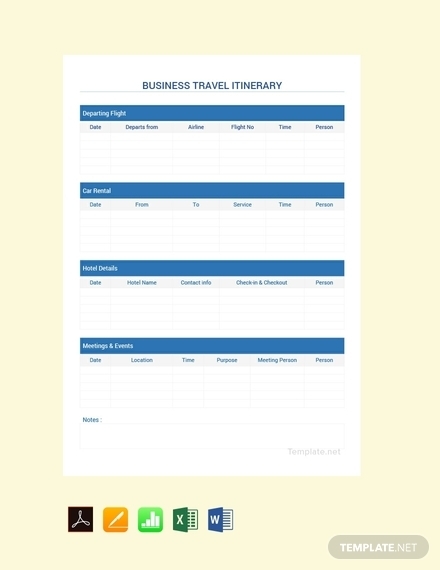 Make it easy for you and for the people who will be using your itinerary to read your itinerary by making sure that the text elements of your itinerary are short and simple, but brief and direct to the point. 3. Be realistic with your plans: It is normal that you would want to go to a lot of places in one day, but keep in mind that it will be impractical and that there are a lot of factors you need to consider such as the peak season, the distance, and the traffic. Keeping it real with your plans is the only thing that can help you to accomplish important things and activities during your trip and help you set reasonable intervals between every activity or destination. 4. Prepare yourself for the unexpected events: No perfect itinerary can beat or defy unexpected events. No matter how hard you try to follow the schedule on your itinerary, there will always be some external factors that can hinder you from doing the activities according to your schedule. This is why it is important to prepare yourself to such events and also prepare your itinerary to such kind of circumstances by adding a time allowance for every activity. Here are the answers to the most frequently asked questions surrounding itineraries. 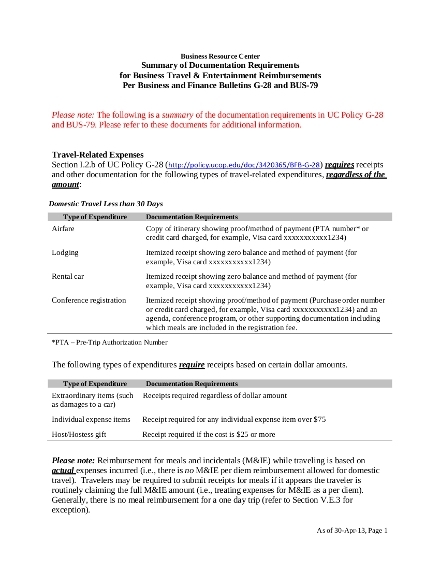 What is the purpose of an itinerary? 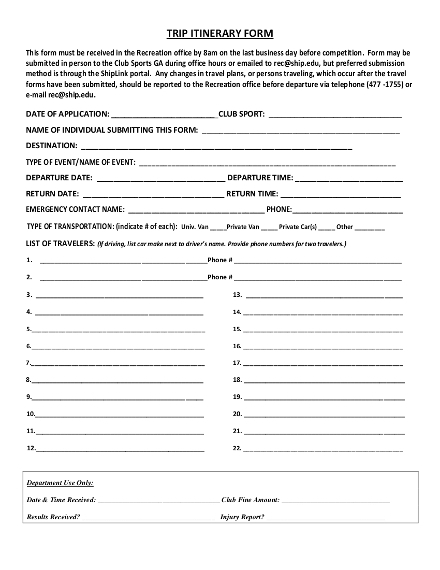 Itineraries include a detailed and plan of a trip. The plan includes the list of places and sights to visit, the activities to do, as well as the accommodation, flight, and other tour details of the trip. Through itineraries, all these details will be organized in a comprehensive manner in a way that you will be making the most out of your time while traveling without having to worry about where to go next or whether you are behind your schedule or not. 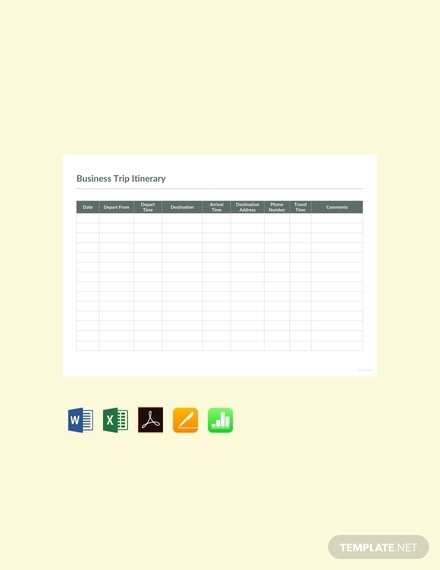 What are the benefits of an itinerary? An itinerary has a lot of benefits. 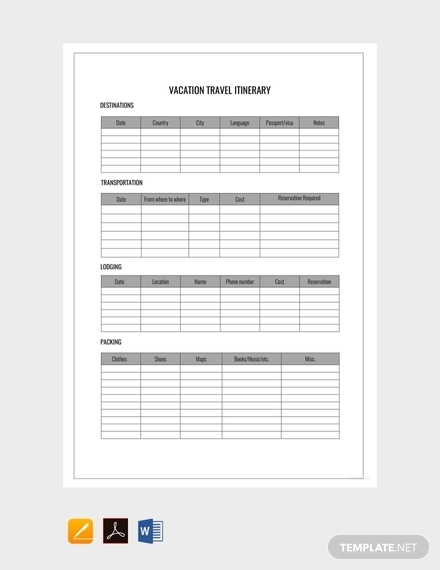 Itineraries provide a detailed plan for a trip that consists of the 4 A’s of traveling, namely attraction, accessibility, accommodation, and amenities; ensures that the time will not be wasted in every place or activity; helps you save time enough to do other things or to squeeze in a lot of places even with a certain amount of time; and it eases all the processes involved in traveling. An itinerary is more than just a mere list of the places of you planned on going. 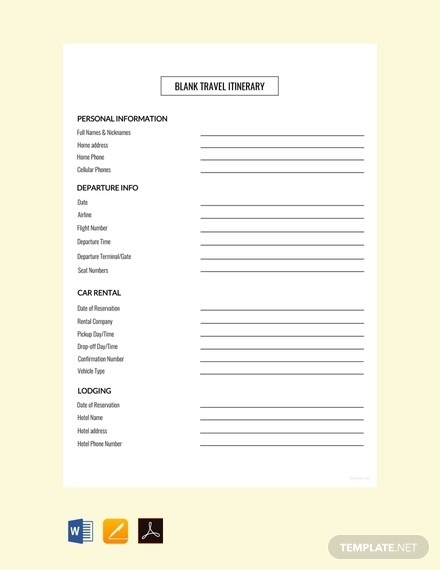 Itineraries make any kind of trip well-organized and it makes your trip even more fun since you will no longer have to think and decide on where to go next.